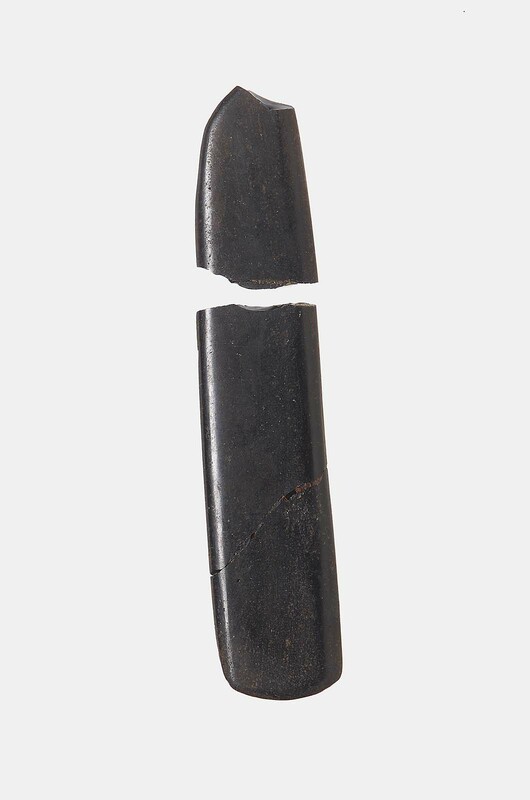 This is a flat roughly rectangular polished black stone implement. The ends are rounded. It is broken in three pieces and two are mended. There is a chip missing from one end. There are no details indicated.